With Bitcoin, Ethereum, and a host of other cryptocurrencies once again making headlines following an incredibly bullish year, crypto security has never been more important, this guide will teach you how to protect your cryptocurrency with a paper wallet and cold storage. If you are looking to learn more about the technical side of cryptocurrencies and how they work please check out our blockchain courses. It’s likely, if you’re reading this guide, you’ve recently decided to buy into this rapidly expanding market, potentially to trade but, most probably, with the intention of holding an amount of a particular currency long term. We’ve prepared it to help readers learn how to safely store their cryptocurrencies themselves, in the true trustless spirit of Satoshi Nakamoto himself/herself/themselves. You and you alone are responsible for your cryptocurrencies. Their security is only your concern. A cryptocurrency wallet is a digital wallet that you can use to store, send and receive various cryptocurrencies. The wallet doesn’t exactly “store” your money as a real-world wallet does. Instead, it saves your public and private keys which in turn helps you send and receive money. Let’s think of a real world situation before we understand what public and private keys are. Imagine a vending machine. Can anyone and put their money inside the machine right? But, they can’t take out the money because they don’t have the key, they can only put money in the machine. The only person who can take out the money is the owner of the machine who has the key. In this example, the vending machine is the public address which anyone uses to send money to you. You are the machine owner, and the key that he is carrying is your private key. Using this private key only you can access your money and do what you please with it. The public key is the address that anyone can use to send you the money, while the private key is what you will use to send money to anyone else. Remember, ONLY you should know what your private key is, otherwise anyone can use your wallet to send your money to any other addresses. Under no circumstances should you ever lose your private key. Let’s put this in super simple terms. If you lose your private key, then you are SCREWED (yes, uppercase has been used to emphasize the gravity of the situation). You should use at least two different techniques to save and store your private keys. We will discuss these various techniques a little later in the article. As of right now, let’s discuss the two methods of storage that you can use to store your cryptos, hot storage, and cold storage. Let’s understand the basic distinction between the two with a real-world example. Hot storage is like the wallets that you carry around in your pocket. The Cold storage is somewhat akin to your savings bank account. Keep this distinction in mind as we move forward. If you want to use your currency frequently then you must use hot storage. On the other hand, if you want to store your money for a long time then you must use cold storage. While transacting with hot wallets is very simple, there is a huge drawback when it comes to them. They are easily hackable. The whole crypto-space has been gaining a lot of value recently and where there’s value, crime is never far behind. Recent ransomware attacks and previous compromises of large exchanges should be sufficient beacons to newcomers. A wide number of options, and support for different devices. Desktop or mobile wallets are also popular choices for a hot wallet. These represent a much better option in terms of security. Desktop wallets are downloaded and installed on a single PC or laptop and they are only accessible from that one device where it was downloaded. While it is a safer alternative than an online wallet, it can still be very inconvenient because you will not get access to your money unless you are on the device from which you downloaded the wallet. MultiBit and Armory are great examples of desktop wallets. Mobile wallets are pretty convenient to use because all you need to do is to download an app into your phone. MyCelium is a really popular app(for both Android and iPhone) that people use for their mobile wallets, CoPay is a great option as well. The real problem with desktop/mobile wallets are the dangers associated with virus attacks. A hacker can easily put Trojans in your system to phish for your details. Apart from that, you can easily lose your cryptos if your desktop or mobile is damaged. How does multi-signature wallet save you from human error? Let’s take the example of BitGo, one of the premier multi-sig wallet service providers in the world. They issue 3 private keys. One is held by the company itself, one is held by the user and the third one is a backup that the user can keep for themselves or give to someone trustworthy for safe keeping To do any sort of transaction in a BitGo wallet you will need at least 2/3 keys to operate. So even if you have a hacker behind you, it will super difficult for them to get their hands on 2 private keys. And on top of that, even if you lose your private key for whatever reason, you still have that backup key that you had given to your friend. Different hot wallets carry different security risks. The least secure are undoubtedly those hosted on Exchange sites. Leaving your currency where you bought it might seem like a great idea because “if it starts to crash, I can change it back to dollars quickly”. In reality, all you’re doing by leaving cryptos on an exchange is trusting an unlicensed entity with your money. They hold your private keys, and they ward off daily attacks. In the past, they’ve even succumbed to such threats. Exchanges are a huge target for criminals because they store a lot of value. If you’re day trading, this risk is part of the deal. If you’re holding long-term, you want to avoid it all together. So what do you do to your cryptocurrency to keep it safe from malicious attacks like this? You use cold storage. Let’s find out what that is all about. When you keep your currency in a device which is completely offline it’s called cold storage. For those seeking the most secure form of storage, cold wallets are the way to go. These are best suited to long-term holders, who don’t require access to their coins for months, or years at a time. To keep it very simple, paper wallets are an offline cold storage method of saving cryptocurrency. It includes printing out your public and private keys on a piece of paper which you then store and save in a secure place. The keys are printed in the form of QR codes which you can scan in the future for all your transactions. The reason why it is so safe is that it gives complete control to you, the user. You do not need to worry about the well-being of a piece of hardware, nor do you have to worry about hackers or any piece of malware. You just need to take care of a piece of paper. The answer to this question will largely depend on your circumstances. If you plan to spend the summer day trading a few coins, perhaps you don’t. Alternatively, if you’re in for the long haul, and don’t intend to touch any portion of your stash, then a paper wallet is the most secure option available to you. Ensure your computer is entirely free from any form of malicious software. A brand-new computer would be ideal but is often not feasible. Once downloaded open the “index.html” file but before that make sure that your internet is off. This entire process is done to make sure that your wallet is hacker free. Delete saved web page. You can now safely reconnect to the internet. While paper wallets substantially decrease the threat of compromise from the virtual world, they aren’t without their own set of risks. Coercion: There are always going to be people willing to break the law to get at something valuable. Just as crooks tear off in Lamborghinis after raiding a property, so too might they stumble upon your safe. They don’t know what’s in there but presumably, it’s valuable. Anyway, you get where this is going, and the moral of the story is simple: don’t go bragging about your crypto investments. It doesn’t matter if it’s online, or in person, it’s never a clever idea. Don’t make yourself a target. Fragility: At the end of the day, it is still paper. Paper can be easily damaged or it can get worn out over time. This is why you should always make multiple backups. Stealing: Since it is written on a piece of paper, anyone who can read it or take a photograph of it can steal your money. Not immune to disasters: It is just a piece of paper, it is not immune to natural disasters and can easily be destroyed if you have not taken any backups. Type of printer used: The quality of printer used can also have a detrimental effect. Non-laser printers may cause the ink to run if the paper gets wet. Human Errors: Humans are prone to mistakes and you can simply forget the location of your paper or accidentally tear it. In the same way that we’ve mentioned restoration details previously, the private key to your paper wallet is its single most important detail. You must guard it with your life. If you lose it, you lose your money. It’s as simple as that. Then you should get it tattooed on your chest, right? Well, no. As well providing you access to your funds when you need them, anyone with the key can also get at them. It must be kept totally secret. Owing to their importance, it’s wise to store your paper wallet in multiple secure locations. This will help alleviate against certain “acts of God” – think Hurricane, sudden evacuation, or similar. However, the more locations you use to store your keys, the higher the risk of compromise. Some prefer to store their private keys in a physical location. A safe is usually favored for this. Only those allowed access to the funds must know the combination (and preferably existence) of your security box. Of course, small home safe deposit boxes are often much less durable than they’re made out to be, and will usually be a target for home invaders. If you have sole access to a high-quality safe, you should use this, otherwise risking a lower end model may be your best option. Either way, only those who have ownership of the coins stored on the paper wallet must know the combination to the lock. In the (very near) future, self-encrypting, decentralized “cloud” based storage will likely be an option. Its reliability remains to be tested but it could alleviate warranted concerns over storing private keys digitally. Like exchanges, existing cloud-based storage services are hackable, and can fall victim to malicious attacks. Storing your most sensitive documents is usually not recommended. However, it’s possible to encrypt the data yourself and store it online. By encrypting it, you limit the number of people who can view a document in its raw state. Uploading an encrypted version of a private key to the web is a suitable option for some. You may also choose to engrave the keys to a metal and keep it safe somewhere. The quality of the metal that you choose will be paramount here because over time a low-quality metal may deteriorate very fast. It should go without saying that this isn’t ideal. It is possible and incredibly secure (potentially too secure) but the practical barrier of remembering 64 unique characters will discourage the majority. While I am sure there are some who favor this method. It is certainly not recommended. Only those that have access to the funds stored must have access to the private keys. Most ways of practically recording private keys are potentially lost. Think, fire, theft, water damage. If you can engrave metals yourself and can store it in a high-quality safe, this is ideal. Multiple safe locations are better than one. Additional locations must not compromise security. All storage has risks. Minimize them. When you want to bring your cryptocurrency back out of cold storage, you need to import the private key into a suitable online wallet. Any wallet which supports importing private keys will work. The process is simple and intuitive for most wallets. The steps we have given below correspond to using the Bitcoin Unlimited wallet. Open the client and click on “Help”. Select the Debug Window and click on the Console tab. Type in the field “importprivkey<private key>” replace <private key> with your private key and the remove quotation marks. 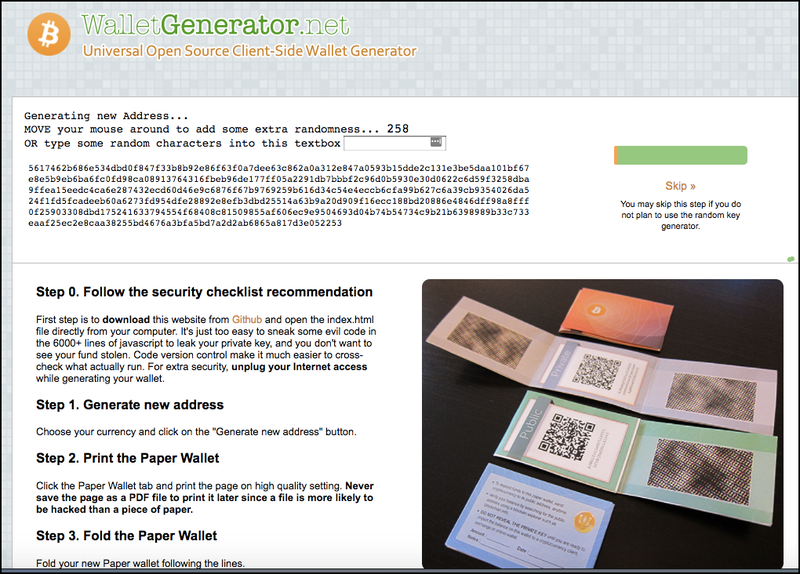 This will import all the data from your paper wallet to your online desktop client. 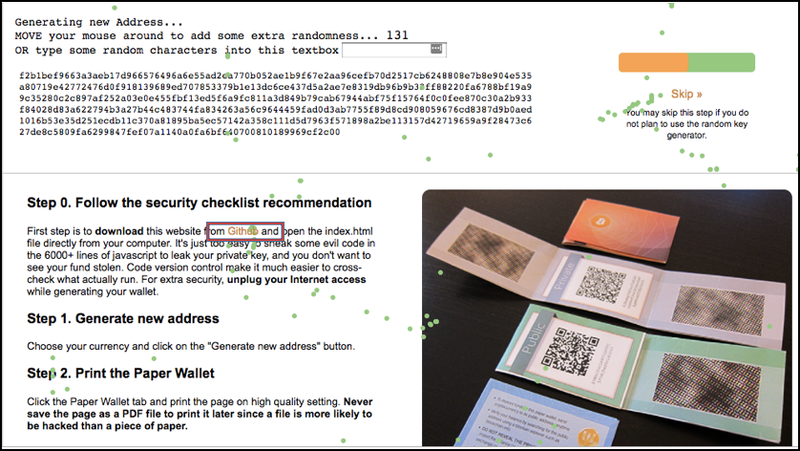 Remember, you are now exposed to all the security risks that exist with hot wallets. It’s not recommended that you keep an amount of crypto in such storage for any more than the minimum time possible. If you’re trading to another crypto, or fiat do some immediately and then store appropriately. 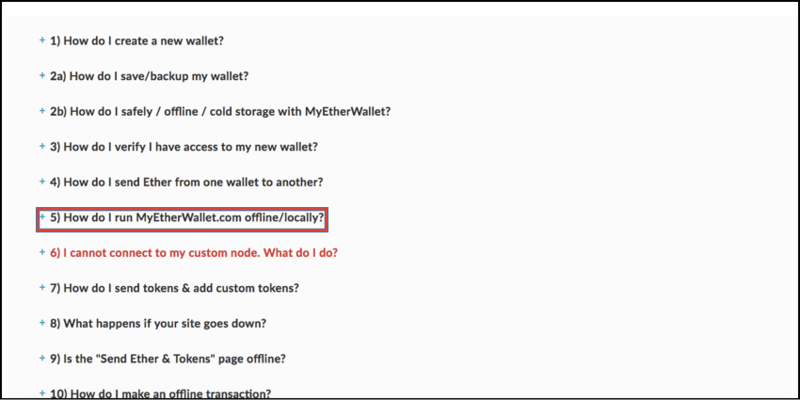 If you were using a portion of your balance to make a payment, and want the rest to return to cold storage, it is now recommended that you set up an entirely new paper wallet. Consider your original storage solution compromised. Setting up a cold wallet is a straightforward way to help alleviate third-party risks associated with most other cryptocurrency storage methods. While no method is entirely free from threat, storing coins offline drastically reduces the chances of losing your investment through digital means – exchange compromise, exchange insolvency, ransomware attacks, other cybercriminal operations. It is still as important as ever to remain vigilant of real-world threats such as loss, theft, or damage of private keys. Always protect your private keys, and ensure to replace them (setup new cold storage) immediately if there is any indication that their privacy may have become compromised. The best solution is diversification. As the old saying goes, “Do not keep all your eggs in one basket.” Always diversify. Keep a portion of your currency (a major portion), in paper wallets and have lots of backups to ensure that you are not going to get screwed. Keep some in hardware wallets and if you really must, keep a few in a hot wallet as well so that you can do quick transactions. Having said that, make sure that most of your money is in cold storage. Remember, it is no one else’s responsibility to ensure your crypto investments are kept safe. You are your own master here. Do not take short cuts, and do not underestimate the importance of security. Plenty of people have already been frivolous enough to lose access to their cryptocurrencies through their own fault and others. Minimizing the risks effectively will drastically decrease the chances of you joining this number.